A brewery less than a year old should not be judged on one beer alone. There are tremendous growing pains in any business, let alone one such as brewing beer that relies on food science and microbiology. 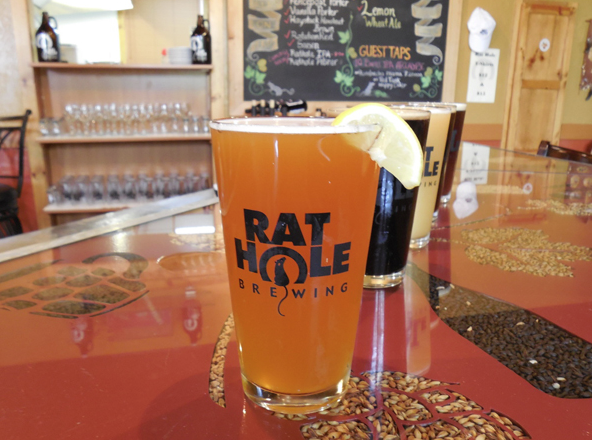 In that spirit four Rat Hole beers were tasted side by side. This was done to check the pulse of the brewery, rather than one specific beer. 1. "Lemon Wheat" is light and refreshing. Its 5.3% ABV and bright citrus flavors are fitting for a summer brew. The aroma and flavor are one-dimensional and dominated by citrus, mostly lemon zest with some pithy bitterness (71 IBUs). Noticeable piney hops come out in the finish, likely turning off drinkers who appreciate the fruitiness of this style. 2. 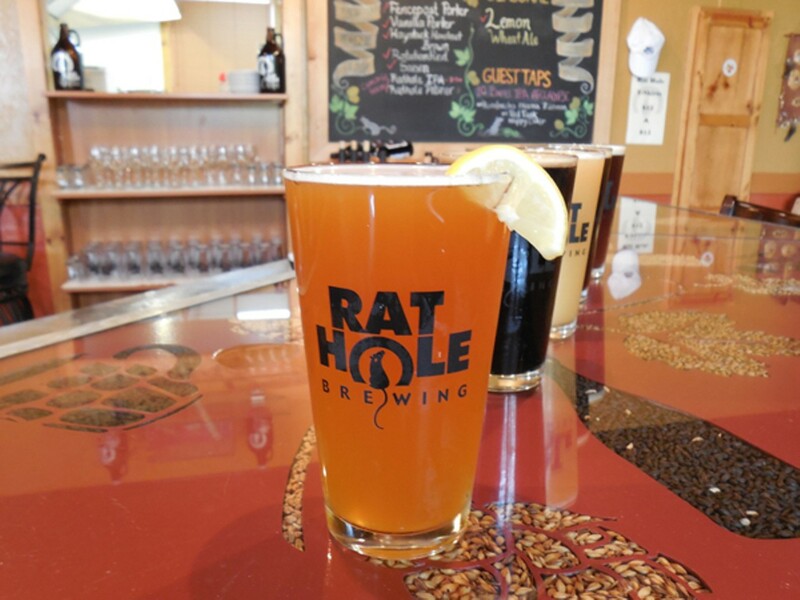 "Rat Hole Pilsner" strays a bit from the traditional style, but is quite nice. Overall, a quiet beer. The floral aromas are subtle, as are the pale malt flavors. Its hop bitterness is on the high side for the style, but still low for Bendites at 40 IBUs. The 6.5% ABV is higher than normal for an American pilsner, but well balanced and still maintains the style's most valuable trait: a crisp, clean finish. 3. "Fence Post Porter" is a bold beer without much substance (5.5% ABV, 30 IBU). Not an empty shell, but it under-delivers. Initially, the big, toasted bread and dark chocolate aromas promise a remarkable beer. The medium-full body and prickly effervescence lead to a medium-length finish. Both flavor and finish are dominated by baking chocolate. A nice beer with BBQ, but nothing special on its own. 4. "Haystack Hazelnut Brown" shows potential but falls short on delivery. Popular brown ale characteristics are lost behind an overly-sweet finish reminiscent of Torani syrup. They use real hazelnuts which is admirable. Unfortunately, to borrow a wine term, the final product is flabby. The pub has quickly gained a loyal following of locals who find other beer locations exhausting. The staff are all warm, friendly, and not too proud to drop a shot of bourbon in your beer. It's a decent place to drink local beer, not yet a destination for the craft beer tourist.